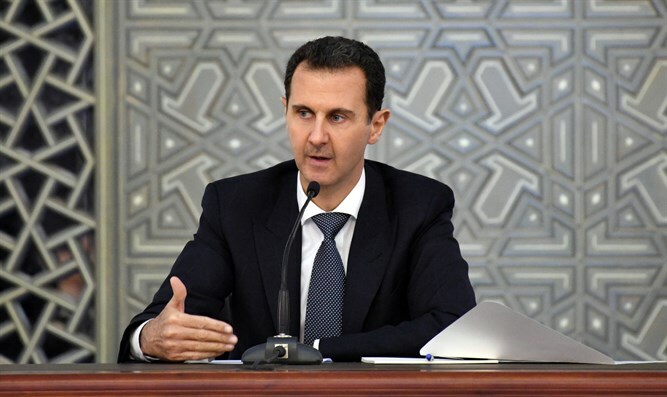 Syrian President insists there is no contradiction between military operation against rebels and a truce. Syrian President Bashar Al-Assad said on Sunday that a military operation in the Eastern Ghouta area near Damascus would continue and in parallel civilians would be allowed to leave the rebel-held area. “There is no contradiction between a truce and combat operations. The progress achieved yesterday and the day before in Ghouta by the Syrian Arab Army was made during this truce,” Assad said, according to Reuters. “Therefore we must continue with the operation in parallel with opening the way for civilians to leave,” he added, referring to a daily humanitarian ceasefire called by Russia from 9:00 a.m. to 2:00 p.m. which the United States has dismissed as “a joke”. Hundreds of people have been killed in recent weeks in Eastern Ghouta in an assault by the Syrian government against the rebel-held bastion. During the assault there have been reports of a deadly chlorine gas attack by the Syrian government. The Syrian regime has repeatedly denied using chemical weapons.